Which jurisdiction improved its restructuring and insolvency regime the most over the last year, to make it a worthy recipient of a GRR Award? We present our shortlist of nominees. The winner of “Most improved jurisdiction” will be revealed on 26 June at the GRR Awards 2018 in London’s neo-classical Banking Hall. The black-tie event will kick off with drinks and dinner from 7pm, before trophies are presented to winners in nine categories. In addition, GRR will be revealing the top 30 firms in the GRR 100 2018: our annual guide to approved cross-border insolvency and restructuring law firms, which is unveiled to the wider public the morning after the awards. Having collected nominations over the past weeks, we’re now releasing shortlists for eight of the nine categories. The nominees for most important recognition decision, innovation in cross-border restructuring and insolvency, and cross-border cooperation in a specific restructuring or insolvency matter have already been revealed. The remaining shortlists – for most significant insolvency or restructuring-related litigation; large law firm that impressed; small or regional law firm that impressed; and advisory firm that impressed – will follow in the coming days. We will also be presenting a very special lifetime achievement award to a prominent UK practitioner on the night. 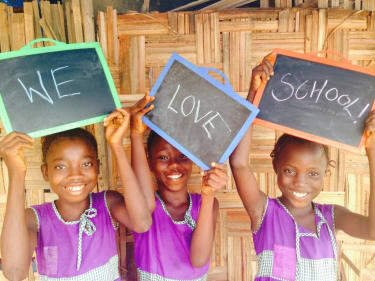 Profits from the GRR Awards ceremony will go to the Swawou Layout Community Primary School for Girls in Sierra Leone. The school is part of a project established in 2008 by GRR’s parent company, Law Business Research, to offer free primary education to girls from disadvantaged homes in the town of Kenema, eastern Sierra Leone. For more details of the GRR Awards 2018 and to book a place on a table, please visit our event website. India – It has been all change in India since it enacted its first ever Insolvency and Bankruptcy Code in 2016, bringing in greater empowerment for creditors, registered insolvency professionals and a whole new network of National Company Law Tribunals (NCLTs). An almost constant stream of improvements and updates has followed in response to feedback and practical experience: for example, in early 2018, new regulator the Insolvency and Bankruptcy Board of India (IBBI) introduced additional rules defining how to calculate the fair value of debtors’ assets requiring registered valuers to do the maths. Case law is now beginning to build up on the interpretation of the new rules too. In spite of all this progress, the law’s minimal cross-border provisions still appear to be in their infancy and plans to adopt something akin to the UNCITRAL Model Law had not yet been realised at the time of writing. Saudi Arabia – the Kingdom of Saudi Arabia approved its first bankruptcy law in February 2018, differentiating between bankrupt individuals and bankrupt companies, and introducing restructuring processes to allow viable businesses to continue, while establishing a legal exit route for companies that can’t be rescued. Before this, law companies only had the option to liquidate their assets or seek money from stakeholders. Cayman Islands – Consolidated and amended insolvency and restructuring rules came into force in the Cayman Islands in February marking a number of changes to procedures that codify existing best practice. But that’s not why Cayman appears here. The Ocean Rig case witnessed a number of firsts that put the islands on the map as a jurisdiction able to handle a major international restructuring – including the first time a Cayman Courtsanctioned schemes promoted by foreign incorporated companies. Teamed with the Cayman courts’ recent common law recognition of joint provisional liquidators (JPLs) appointed in Hong Kong in Changgang Dunxin, granting them the right to file local winding-up proceedings – and the conclusion of a major trial in AHAB v Saad in 2017, Cayman appears to be improving its attractiveness as an insolvency and restructuring destination, one case at a time. The EU – The recast European Insolvency Regulation came into force in June 2017, adding eight pre-insolvency proceedings from different member states to its scope of covered proceedings and introducing new provisions for group companies. There was also a new package of measures to help reduce non-performing loans in European banks, a vote on amendments to the Bank Recovery and Resolution Directive to harmonise rules on bail-in hierarchy, and the European Commission aims to see a first reading of the proposed Directive on Preventative Restructuring Frameworks before the European Parliament by the time its current term ends in 2019. Switzerland – The Swiss Federal Council in 2017 approved changes to the Swiss Private International Law Act permitting the recognition of foreign insolvency proceedings even where there is no reciprocity, and introducing the centre of main interests (COMI) concept rather than requiring foreign insolvency proceedings to be located at the debtor’s place of residence or registered seat. The amendments also specifically authorise Swiss authorities to coordinate with foreign counterparts overseeing international insolvency proceedings, and contain new rules on group companies and the opening of secondary proceedings. They are expected to come into force in 2019.